Book Review - "An Amish Christmas - December in Lancaster County"
A new must-read for Christmas if you love Amish Fiction and/or Christmas stories! I was very excited to receive this collection of 3 novellas from Thomas Nelson to read and review. However, I was pleasantly surprised when I began reading "An Amish Christmas - December in Lancaster County" as the 3 novellas are all written by different authors (Beth Wiseman, Kathleen Fuller and Barbara Cameron), but the stories are intertwined. In the first novella "A Miracle for Miriam" the story focuses on a young woman Miriam whom is struggling with low self-esteem and is confused by the attention that she is receiving from Seth, who previously made fun of Miriam and broke her heart with the teasing. Miriam must trust God and Seth and learn that he has changed since the teasing days in the schoolyard. Although, the focus is on Miriam, Lydia and Sarah are both introduced in this story. Lydia's character is revisited and focused upon in the 2nd novella "A Choice to Forgive." Lydia has suffered much heartache - first her true first love left suddenly leaving only a note behind. Just as suddenly he returns to Lancaster County and is finding his way back into Lydia's life and heart, however during the 18 years he has been gone, Lydia married his brother, yet the brother has passed away. Will Lydia allow herself to listen to her heart and her first love? The third novella focuses on Sarah whom is struggling with not being able to conceive a child. During a snowy Christmas an English couple is brought into their lives, the wife who is very pregnant. Will Sarah be able to put aside her own fears and longings to be able to help this couple? Sarah soon learns that both couples will learn a great deal from each other. 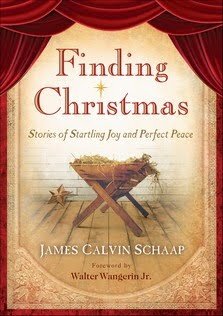 I loved this collection of stories and the journeys that these women and couples experienced throughout the Christmas season. It is December!! Christmas is only 24 short days away!! This is my most favorite time of year (really I like something about each season, but December is my favorite month)! I love the Christmas music, decorations and lights, the spirit of the season, the story of Jesus' birth and the truths that lie within this amazing account, the movies and books! There are some books that I love to curl up with and read this time of the year. I have recently read a few that I received as complimentary copies from Revell that are going to be on my "must-read Christmas" list in years to come! 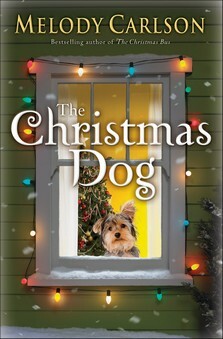 "The Christmas Dog" by Melody Carlson is one of the "feel good" reads! If you are looking for a quick read that just makes you smile and really get into a Christmasy mood, then this book is for you! In today's society you hear about the bad in the world and the bad in people causing you to look extra careful at that new neighbor down the street as you expect the worst in people, especially strangers. Carlson gives you hope and urges you to look beyond the surface and allows you to see the good in people. I love how the relationships that are intertwined in this story - mother and son, grandmother and granddaughter, neighbors and friends. Who would have thought that a straggly dog showing up on a doorstep could bring so much heal, hope and love! Make sure you have tissues nearby! 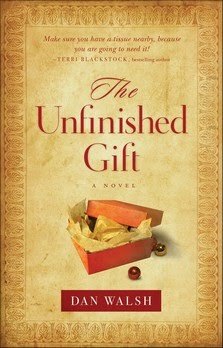 Dan Walsh's novel "The Unfinished Gift" will tug at your heart, fill your eyes with tears and have you experience several emotions throughout as you travel back to World War II and become a part of Patrick's life as he suddenly meets a grandfather whom he has never met, but has always lived nearby. Patrick's mother has passed away and his father is MIA leaving his grandfather to care for him although he harbors bitter feelings and resentment toward his own son from years ago. Will this Christmas be a happy one for Patrick and his grandfather, will they receive what they most want this year? Walsh depicts a realistic scene throughout the book from the characters to the physical setting to the feelings and thoughts of the characters. I am looking forward to a sequel! Although I have not yet had a chance to read this book, I am grealty looking forward to based upon the excerpt and reviews I have read! Check it out for yourself! I would love to hear if any of you have read these books and your "must-reads" for Christmas!